Time to celebrate as a team after a long season! Why not come to Pump It Up!! 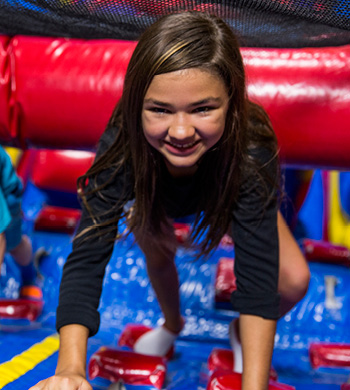 We offer 2 hour PRIVATE parties for UP to 50 Kids, don't forget the siblings! Fridays: FREE Glow experience included!! We supply: plates, cups, napkins and forks in the party room. We take care of set up, cutting/serving of cake and clean up! ALL FIELD TRIPS ARE 100% PRIVATE! ** Add 30 min to your field trip by adding lunch for the kids! 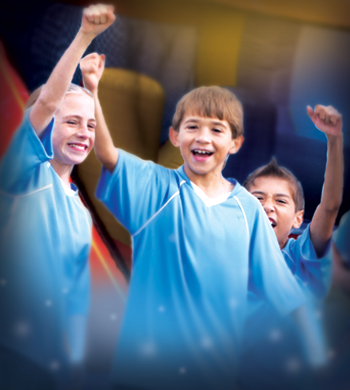 Your PRIVATE field trip includes: PRIVATE playtime in the climate controlled arenas on 6 HUGE interactive inflatables.